Bread and Circus or Deep Fried Demos? I tend not to be cynical about these kinds of things. 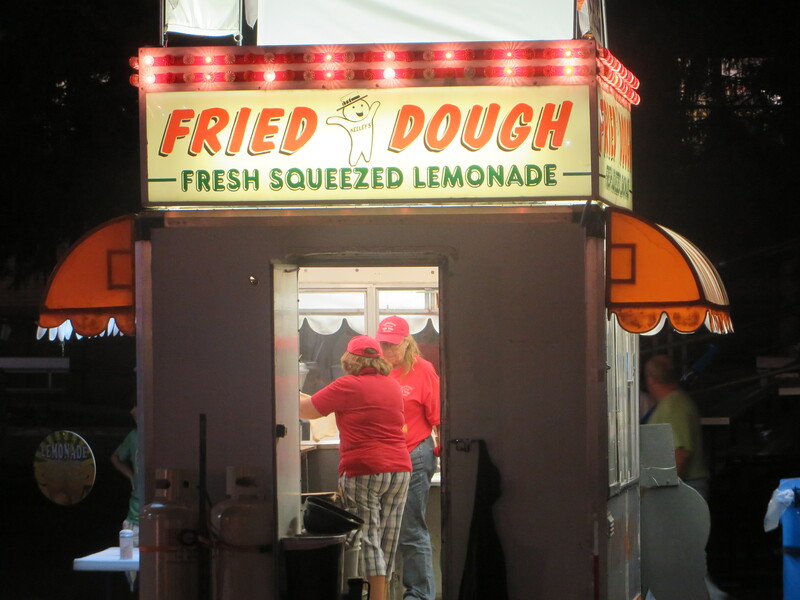 Aspects of a state fair are radically democratic. The coming together of a disparate mass for the purpose of economics and entertainment. Justice has nothing to do with it. The people who work at the State Fair are worked and work themselves to the bone. Late at night, the sheer fatigue begins to show. Everybody eats something. The place literally consumes itself. My father, Sheldon, would have called it a slice of life. I like to walk around and look at at things, at people, at the things people eat or are going to one day eat. About animals and livestock, more later. Every year around Labor Day, I spend way too much time at the New York State Fair. I can’t keep my eyes off it. This entry was posted in uncategorized and tagged Syracuse. Bookmark the permalink.